Kamal Kishor did B Com and M Com from DAV College, Dehradun. 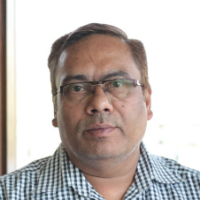 After completing his studies in 1989 he Joined Doon Valley Pipes Ltd as an accounts officer and since 1997 he is working at Summer Valley School, Dehradun as Head of Accounts Department. Accountancy is the practice of recording,classifying,and reporting on business transactions for a business. It provides feedback to management regarding the financial results and status of an organization. "I did B Com and M Com from DAV College, Dehradun. I joined Doon Valley Pipes Ltd as an accounts officer and in 1997 I switched to Summer Valley School, Dehradun. I am Head of Accounts Department."